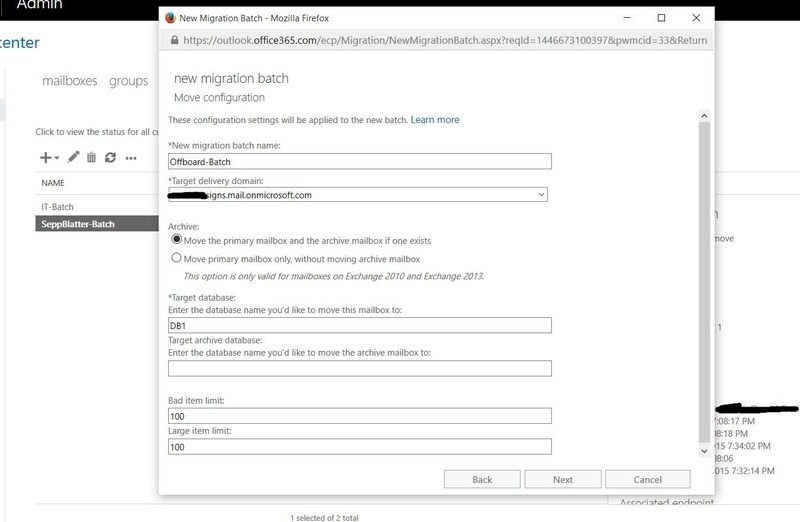 Bulk Updating On-Premise Active Directory Users’ Attributes for Office 365 Batch Migration Using PowerShell. | Chinny Chukwudozie, Cloud Solutions. ← Moving a Hyper-V Virtual Machine Storage to a Cluster Volume using PowerShell. PS C:\Scripts> Get-ADOrganizationalUnit -Filter "Name -like '*Manufactur*'"
Connect-MsolService — Login with the crendentials. The IsLicensed property indicates that no licenses for O365 Enterprise or any other has been assigned to the users. 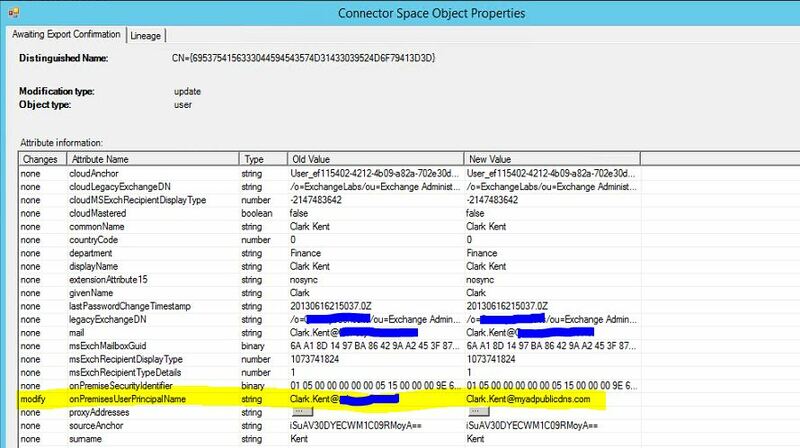 The MSExchRecipientTypeDetails property value of 1 indicates that the user mailbox has not been migrated to Office 365 and still resides on the on premise Exchange Server. 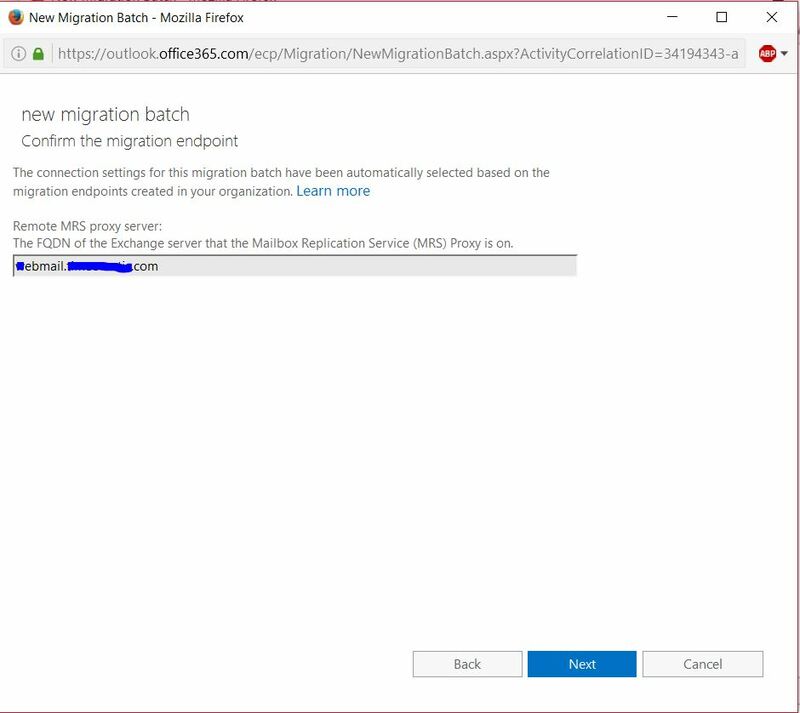 There are scenarios where it becomes necessary to move a mailbox back to the on premise mailbox server from Office 365 cloud using the GUI (web interface). The offboarding process is straight forward . The following snapshot shows the key field values that need to be entered while moving a mailbox back on premise. 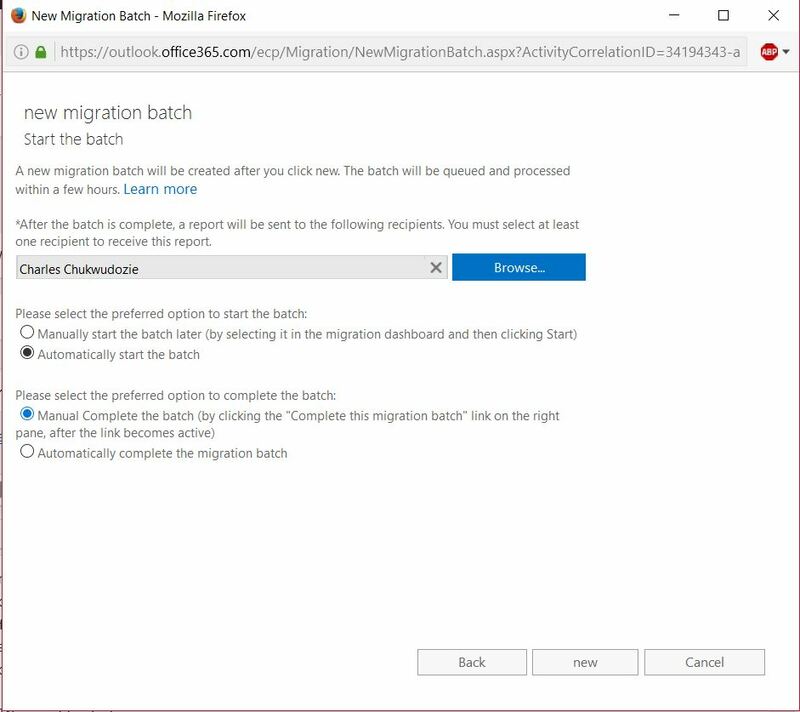 This entry was posted in Batch Migration, Exchange 2010 SP2, Exchange Online, Office 365, Onboarding, PowerShell, Windows Azure PowerShell and tagged Azure AD Connect Office 365, Azure AD Windows PowerShell, Cmdlets, Directory Synchronization, Exchange Online, Exchange Server 2010 SP3, Mailbox Batch Migration, Offboarding, Office 365, Office 365 Migration, Onboarding. Bookmark the permalink.